Don’t AC problems always seem to happen on nights and weekends when it’s incredibly hot outside? If you find yourself faced with this situation, call A/C Contractors for Longview emergency air conditioning repair services. We have a responsive team that is always standing by to take calls and schedule appointments. With us, there is no reason to wait for your air conditioning to be fixed! Our emergency services are just as thorough as our standard services. The only difference is that they are immediate and can be fulfilled at any hour. 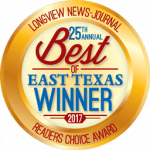 A highly qualified and experienced Longview AC contractor will be sent to your home to check out the issues you are experiencing. Our hope is the same as yours – to fix the problem on the spot. Fortunately, we are usually able to get things up and running again. Not all cooling problems can wait. Sometimes, the East Texas weather is just too hot to bear, or you have other things going on that require a cool and comfortable home. Whatever circumstances you may be dealing with, our company has a Longview AC contractor waiting to serve your needs. When you’re faced with a last-minute, unexpected AC problem, call A/C Contractors. Our Longview emergency air conditioning repair services are fast, reliable and affordable.